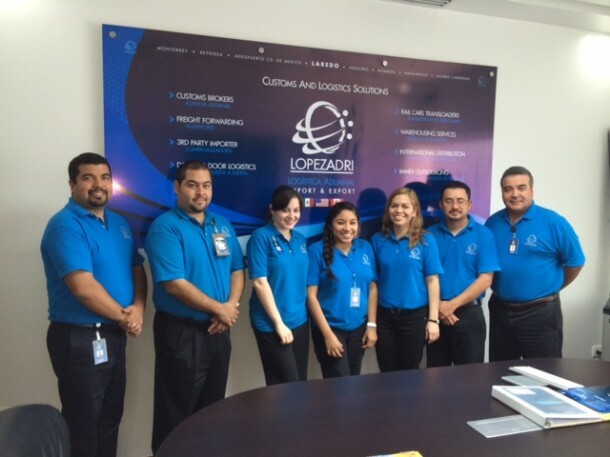 Located in the most important in-land port between Mexico and USA and with a network of representations over the main ports of entries in the country “Grupo Aduanal Lopezadri, S.C.” has become one of the leaders in the Import/Export business, offering to customers, EXPEDITE services on CUSTOMS dispatch and logistics solutions. Due to the recent changes on the Mexican Customs operation, which includes new customs procedures through the government portal “VENTANILLA UNICA“, we have update our operation software and IT systems to comply with this new regulation, giving to our customers and “Add value” service on their shipment’s customs clearance. Our specialty is handling and shipping INDUSTRIAL cargo, mainly coming from American and Canadian corporation bound to Mexico. We’re a bilingual company and can work together with the shipper and consignee without any language barrier. In addition, before and during the process, we use to guide and consult our clients, on paperwork, regulations, restrictions in order to have everything ready to cross and clear successfully and smoothly. On June 2012 our company Grupo Aduanal LOPEZADRI, was nominated by the US Commercial Service to win the “PARTNERSHIP AWARD” due the collaboration and work with the Trade Specialists in Mexico.